Parashat Tazria, 5779, 2019: "The Disease of Arrogance"
In sum, according to the Rashbam, tzaraat can only be understood from the Torah’s standpoint, rather than from a physiological or medical perspective. This is because its etiology does not follow the normative laws of biology. Instead, it is a spiritually-based ailment that manifests in a physical fashion. As the Rav underscores many times, “The principle of imitatio dei [imitating Hashem’s behaviors] demands that we emulate G-d’s attributes.” (Darosh Darash Yosef, page 231) Therefore, may we always reject ga’avah and the spiritual tzaraat it represents, and embrace the authentic majesty of Hashem and follow in His noble ways. V’chane yihi ratzon. 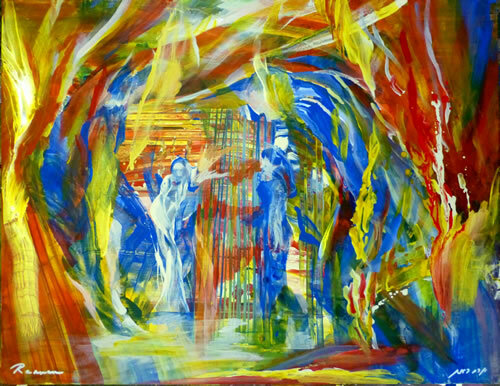 ​Parashat Shemini, 5779, 2019: "Nadav and Avihu and the Attempt to Draw Near"
Dedicated to the sacred memories of my mother, Miriam Tovah bat Aharon Hakohen, father-in-law, Levi ben Yitzhak, sister-in-law, Ruchama Rivka Sondra bat Yechiel, sister, Shulamit bat Menachem, Yehonatan Binyamin ben Mordechai Meir Halevi, Shoshana Elka bat Avraham, Tikvah bat Rivka Perel, the Kedoshim of Har Nof and Pittsburgh, and the refuah shlaimah of Yakir Ephraim ben Rachel Devorah, Mordechai ben Miriam Tovah, and the safety of our brothers and sisters in Israel and around the world. If, as this Midrash states, Moshe declared to Aharon, “I realize that your two sons are greater than both you and myself,” how is it even remotely possible that, according to the Talmud, Nadav could tell Avihu: “Oh that these old men might die, so that you and I should be the leaders of our generation?” In other words, if Nadav and Avihu had reached such spiritual heights, how could they possibly wish and wait for the demise of Moshe and Aharon? At some unknown point in time, the moment will arrive when they [Moshe and Aharon] will depart from this world, and then, it will be incumbent upon us to lead the generation. If that is the case, we must unflaggingly prepare ourselves for that time, so that we can continue to lead this generation in the same manner as Moshe and Aharon...yet, they were unable to do so, since no one ever arose that equaled Moshe’s level [of prophecy], and they died [without achieving their goal]. In a very real sense, Rav Shapiro provides us with a brilliant analysis of our Gemara that complements, rather than contradicts, our Midrashic passage. 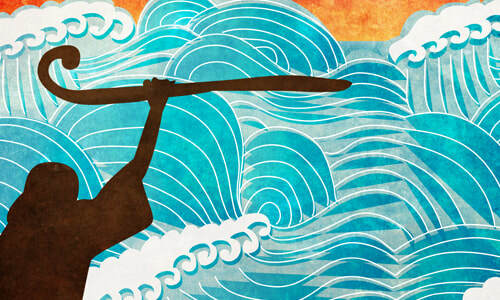 Nadav and Avihu were incredibly holy and dedicated to serving Hashem and His people. This is why they were driven to emulate the kedushah of Moshe and Aharon and thereby become the next leaders of the Jewish people. Although they were sincere, and their quest was truly l’shame shamayim (in the service of Heaven), they were unable to comprehend the extent to which Moshe differed in kind and degree from any prophet that had ever lived, or would ever live. They could not fathom the gulf that separated them from Moshe and his level of prophecy. This lack of understanding led them to bring aish zarah — incense that had not been commanded by the Almighty — and eventuated in their tragic deaths. ​Parashat Tzav, 5779, 2019: "For All Future Generations"
The second verse of our parasha presents the commandment to offer a korban olah (completely burnt offering) in the Mishkan (Portable Desert Sanctuary) and Beit HaMikdash (Holy Temple): “Command (tzav) Aaron and his sons, saying, ‘This is the law of the burnt offering: That is the burnt offering which burns on the altar all night until morning, and the fire of the altar shall burn with it.’” (Sefer Vayikra 6:1, this and all Rashi and Bible translations, The Judaica Press Complete Tanach) Rashi (1040-1105), basing himself upon the Sifra, the halachic Midrash to Sefer Vayikra, explains the word, “tzav,” in this manner: “The expression tzav always denotes urging [to promptly and meticulously fulfill a particular commandment] for the present (miyad), and also for future generations (v’ledorot).” The word, “miyad,” makes perfectly good sense in this context, since our verse is the source of the obligation to bring a korban olah ─ something that was possible for Aharon and his sons, and during the period of time we were blessed with the Mishkan and Beit HaMikdash. The term, “v’ledorot,” however, seems quite problematic, since we have not had a Mishkan or Beit HaMikdash for nearly 2,000 years, and we have, therefore, been prohibited from offering the korban olah. Abraham asked how he was to know that G-d would not forsake Israel if they sinned. G-d answered, “In the merit of the [Temple] sacrifices.” Abraham insisted that this merit is fine when these sacrifices are in existence, but what was to happen after the destruction of the Temple? G-d replied that if the Children of Israel learned the laws surrounding the sacrifices, He would consider their study as a virtual sacrificial offering. When we cannot offer sacrifices, we recite the halachos [laws] pertaining to them as a substitute. With Hashem’s help and mercy, may we once again be zocheh (merit) to bring korbanot in the Beit HaMikdash, soon and in our days, v’ledorot ─ and for all generations to come! V’chane yihi ratzon. Parashat Vayikra , 5779, 2019: "And Hashem Called to Moshe"
Chamishah Chumshei Torah (The Five Books of the Torah) contain two instances of the exact phrase, “vayikra Hashem el Moshe” (“and Hashem called to Moshe”). The first appears in Sefer Shemot 24:16, in the context of Kabbalat HaTorah (the Receiving of the Torah), and the second is found in the opening words of our parasha, as a prologue to the many and varied laws of the korbanot (offerings to Hashem). Rashi (1040-1105), in his Commentary on the Torah on our verse, bases himself upon a statement found in the Midrash Sifra, and notes that each time Hashem communicated with Moshe, it was preceded by the Almighty directly calling upon him (“kadmah kriah”). In addition, he suggests that the word, “vayikra,” is an expression of abiding affection (chibah), since this is precisely the language the Ministering Angels use when they call to one another (“v’karah zeh el zeh,” Sefer Yeshayahu 23:4). Now who was that messenger? [It was] the pillar of cloud, and the Holy One, blessed be He, in His glory, led it before them. In any case, it was the pillar of cloud that He prepared so that they could be led by it, for they would travel by the pillar of cloud, and the pillar of cloud was not [meant] to provide light but to direct them [on] the way. These changes came about from the time of Moses’ prayer [following the Sin of the Golden Calf] and onward: “For how then will it be known that I have found favor in Your eyes, I and Your people? Is it not that You will go with us? Then I and Your people will be distinguished (v’niflinu) from every [other] nation on the face of the earth.” (Sefer Shemot 33:16) Then the Holy One answered Moses: “And He said: ‘Behold! I will form a covenant; in the presence of all your people, I will perform wonders such as have not been created upon all the earth and among all the nations…’” (Sefer Shemot 34:10) [What was this?] This is what is meant by the expressions, [in our verse, “before the eyes of the entire house of Israel in all their journeys,”] and “the eyes of the entire Jewish people.” (Sefer Devarim 31:7, 34:12) And it is for this that we wait once again. Thus, according to the Vilna Gaon, Moses’ tefilah (prayer) for reconciliation with the Almighty following the Sin of the Golden Calf altered the very nature of the ananei hakavode (Clouds of Glory). For the first time, all the men, women and children of the Jewish people could apprehend the vision of the Cloud of Glory resting upon the holy Mishkan. Suddenly, everyone could feel the Divine Presence of the Master of the Universe. The Vilna Gaon’s words, “And it is for this we wait once again,” resonate through the ages, until our own time. With Hashem’s boundless kindness, may we witness the Cloud of Glory in the soon to be rebuilt Beit Hamikdash. V’chane yihi ratzon. 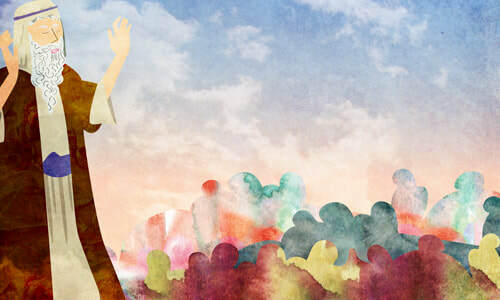 ​Parashat Vayakel, 5779, 2019: Why Bezalel? Dedicated to the sacred memories of my mother, Miriam Tovah bat Aharon Hakohen, father-in-law, Levi ben Yitzhak, sister-in-law, Ruchama Rivka Sondra bat Yechiel, sister, Shulamit bat Menachem, Yehonatan Binyamin ben Mordechai Meir Halevi, Shoshana Elka bat Avraham, Tikvah bat Rivka, the Kedoshim of Har Nof and Pittsburgh, and the refuah shlaimah of Yakir Ephraim ben Rachel Devorah, Mordechai ben Miriam Tovah, and the safety of our brothers and sisters in Israel and around the world. Parshiot Vayakel and Pekudei are narrative Torah portions that exactingly describe the construction of the Mishkan (Portable Desert Sanctuary) and the creation of the bigdei Kohanim (garments of the Kohanim). The word, “va’ya’os” — “and he made,” is used 40 times throughout these passages, 39 of which are stated anonymously. Consequently, the names of the artisans who created a particular kli (vessel), or even one of the constitutive elements of the Mishkan such as one of the altars, remain unknown. The one exception to this rule is the Aron Luchot HaBrit (Ark of the Covenant): “Bezalel made the ark of acacia wood, two and a half cubits long, a cubit and a half wide, and a cubit and a half high.” (Sefer Shemot 37:1, this and all Bible and Rashi translations, The Judaica Press Complete Tanach). the Aron Bezalel, which will exist throughout all the generations — and there will never be another. This is perhaps the reason for our verse’s specificity [when it states, “and Bezalel made,”] to teach us that throughout the generations another Aron HaBrit, and set of Cherubim, may never be produced — but, rather, only those that Bezalel fashioned. Rav Meir Simcha’s first answer to our question is technical in nature: The underlying rationale as to why Bezalel’s name is associated with the Aron Luchot HaBrit is because there can never be another one, since there will never be another set of HaLuchot. As a result, the Aron Luchot HaBrit is forever known as Aron Bezalel — the one and only Aron Luchot HaBrit that was created by Bezalel. The Holy One blessed be He was concerned, following the sin of the Eigel HaZahav, that perhaps when someone would build the Aron HaBrit, they would have forbidden thoughts during its construction that would be infused with various kinds of idol worship. Therefore, Bezalel was chosen to build the Aron HaBrit, since his grandfather, [Chur,] was murdered as a result of his refusal to participate in the creation of the Eigel HaZahav. Therefore, based upon his (Bezalel’s) training and his natural orientation toward hating anything and everything associated with those who follow after the foolishness, forms and images of all manner [of idol worship,] he would never have embraced any of these foreign thoughts. Therefore, the Torah writes, “And Bezalel made,’ since he, and he alone, constructed the Aron HaLuchot without any [potentially questionable] help whatsoever. According to Rav Meir Simcha, Bezalel emerges as a true hero of the spirit who was blessed by Hashem with the requisite unique talents and abilities not only to design and build the Mishkan in general, but to also construct the Aron Luchot HaBrit in particular, b’taharah v’kedushah (in purity and sanctity). With Hashem’s help, may we be zocheh (merit) to follow in his footsteps and dedicate ourselves to attaining such holiness of purpose in our lives. V’chane yihi ratzon. ​Parashat Ki Tisa, 5779, 2019: "The Uniqueness of Moshe"
The Tanach contains a number of instances when Hashem or his malach (angel) calls to individuals and repeats their name within the same verse. For example, immediately prior to the Almighty’s command to Avraham to cease offering Yitzhak upon the altar (Akeidat Yitzhak), we find: “And an angel of G-d called to him from heaven and said, ‘Abraham! Abraham!’ And he said, ‘Here I am.’” (Sefer Bereishit 22:11, this and all Tanach and Rashi translations, The Judaica Press Complete Tanach) In his Commentary on the Torah, Rashi (1040-1105), basing himself upon Tosefta Berachot I and Sifra Vayikra I, explains that this and, by extension, other cases wherein a name is reiterated, reflect Hashem’s love for the person that is so called. In contrast, our parasha contains a pasuk (verse) that is outside the general rubric of name repetition: “And it came to pass when Moses descended from Mount Sinai, and the two tablets of the testimony were in Moses’ hand when he descended from the mountain, and Moses did not know that the skin of his face had become radiant while He had spoken with him.” (Sefer Shemot 34:29) This is by no means your classic case wherein Hashem summons people by repeating their names, since our verse is narrative and not dialogical in nature. In addition, this is the only verse in the five books of the Torah of which I am aware wherein a name is found three times. Taken in tandem, this suggests that Moshe’s name is not repeated because of Hashem’s love for him, but, rather, for some other significant reason. In my estimation, it was crucial for our ancestors to continue to identify Moshe’s face, as this would eliminate the dire possibility of their once again proclaiming, “Come on! Make us gods that will go before us, because this man Moses, who brought us up from the land of Egypt we don't know what has become of him” ─ as they had a mere two chapters earlier at the outset of the incident of the Eigel Hazahav (Golden Calf, Sefer Shemot 32:1). As such, in the mind of our forebears, Moshe remained the Moshe they had always known, and his, and their, continuity remained intact. And the second matter that is made known to us regarding Moshe, and the [mystical] activity of the Divine light emanating from his face, is that he neither sequestered nor removed himself from his four senses ─ unlike the actions of all the other prophets at the time of their prophetic experiences. We know this to be the case, since he, himself, after receiving the Word from Hashem, returned his own veil to his face. This demonstrates that he never ceased to be aware of his senses, and that [during his prophetic communications] he was totally awake in the same exact fashion as he had been prior to receiving his prophecy. Unlike all other prophets, Moshe spoke to Hashem in a direct manner, i.e. without any intermediary. In contrast to all other prophets, Moshe communicated with the Almighty during the day and when he was completely conscious. All other prophets felt anguish, trembled, shuddered and became weak due to their meeting with Hashem. Moshe, however, remained fully in control of his physical and psychological powers throughout his prophetic engagements with Hashem. The Rambam describes the spiritual intimacy that obtained between Moshe and Hashem. The portrait that emerges is that of a unique individual who enjoyed unparalleled access to the Almighty due to his exceptional spiritual gifts. Moshe and his prophetic encounters were unique in the annals of Jewish history. As the Torah teaches us, “And there was no other prophet who arose in Israel like Moses, whom the L-rd knew face to face” (Sefer Devarim 34:10, underlining my own) While none of us are capable of achieving his exalted level, each of us can do our utmost to reach out to Hashem, and establish a meaningful connection with Him. With the Holy One’s chesed and rachamim (kindness and mercy) may this be so. V’chane yihi ratzon.